Until now, website accessibility hasn’t been a big concern for most business owners and marketers. Owners of brick and mortar stores, restaurants and office buildings are required by law to accommodate the needs of customers with disabilities via wheelchair ramps, braille product signage, accessible restrooms, and more. 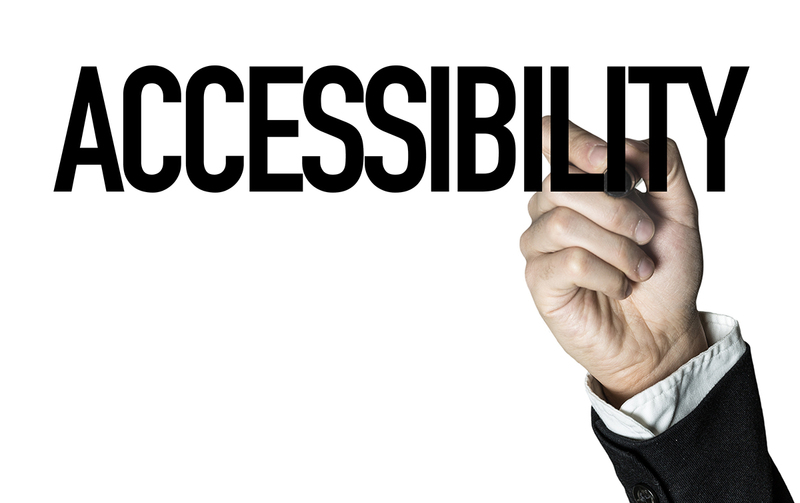 As a website owner, you will soon be required to have a website that is accessible as well. Legislative changes are on the way. By 2018, The U.S. Department of Justice (DOJ) will roll out official compliance guidelines concerning online accessibility for the disabled as part of the Americans with Disabilities Act (ADA). DOJ will soon be expecting all websites to accommodate people with disabilities. However, waiting until it’s the law may make your company legally vulnerable in the meantime if you aren’t in compliance, as organizations such as Peapod, Target, Reebok, and the NBA have already found out. In order to assure that websites and web applications are accessible to and usable by everyone, Web designers and developers must follow the Web Content Accessibility Guidelines (WCAG 2.1) published by the Web Accessibility Initiative (WAI) of the World Wide Web Consortium (W3C), the main international standards organization for the Internet. WCAG 2.1 Guidelines originated in 2008, and cover a wide range of recommendations for making web content more accessible. It covers an expanded range of disabilities: blindness and low vision, deafness and hearing loss, learning disabilities, cognitive limitations, limited movement, speech disabilities, and photo sensitivity. Business Owners of Websites: You need to have your current website tested for accessibility so you can discover the baseline of issues that need to be fixed so your website content will be accessible to all. Website Developers/Designers: You need to learn and integrate the WCAG 2.1 Guidelines A, AA & AAA into every website you build from now on. You may also be called on to fix the websites you have already completed. 1. IMG ALT text must not be the same as the image file name. The ALT text should summarize the purpose of an image. The source filename of the image should not be included because generally it is just not useful to the visually-impaired user. SOLUTION: Change the ALT text to a description of the image. 2. IMG ALT text with acronyms can cause problems when read by screenreaders. (read by a screen reader as “It’s at Mit”). (read by a screen reader as “ITS at MIT”). 3. Website links that are not underlined can cause problems for some users. 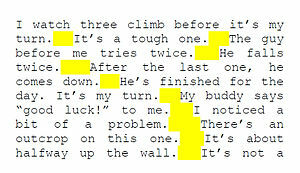 FAIL: Removing the underline from links makes it difficult for color-blind users to see them. SOLUTION: Remove the text-decoration:none property from your link styles, or introduce the link underline style on both mouse hover and keyboard focus actions. 4. Links that use general text like can cause problems for folks using screen readers. When a screen reader comes across a link that reads as “click here” or “learn more,” the visually-impaired person listening to the content may not have sufficient information to determine if the link is worth following or not. SOLUTION: Use an “action” phrase that alerts the user what to expect if he/she follows the link. <a href=”instructions.html”>How to use the new accessible web tool</a>. 5. Provide a Skip Navigation link that allows keyboard and screen reader users to skip over groups of links. FAIL: The inability to skip repetitive links can be a problem for those with mobility disabilities who use the keyboard to navigate instead of a mouse. This will position the Skip to main content link 1000px off the screen for sighted users, without hiding it from screen readers. When you hit the tab key the first time, the link will receive focus and be visible at the top left corner of the page. FAIL: If you instruct folks to click on the red button, you may be confusing the over 108 million Web users who are color blind. 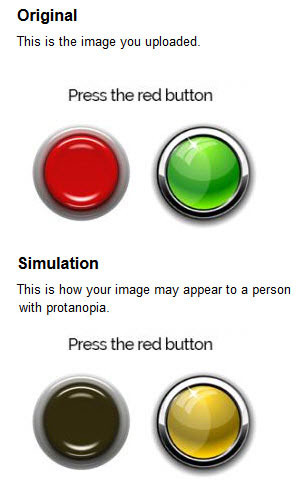 One color blindness condition is called protanopia. People with protanopia lack the long-wavelength sensitive retinal cones that are required to distinguish between colors in the green-yellow-red section of the spectrum. It is a more common form of color blindness, occurring in between 1% and 5% of males (varying by race) and in approximately 0.1% of females. SOLUTION: Change the instruction so it does not make use of color. Learn about the different types of color blindness affecting some users. 7. Ensure that foreground and background colors have enough contrast. 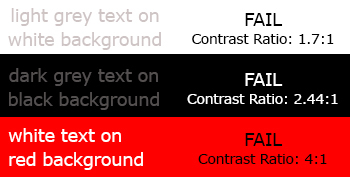 Some users find it hard to read light gray text on a white background, dark gray text on a black background and white text on a red background. SOLUTION: Use the WebAIM Color Contrast Checker to ensure the colors you are using are accessible. 9. Use relative rather than absolute units in CSS property values. Absolute units are CM, MM, IN, PC and PT. When used with fonts PX is also considered an absolute unit, because it isn’t relative the user’s preferred font size. Low-vision users, and a lot of people over 50, increase the browser default font size to make text easier to read. Absolute units ignore this user choice. Relative units like EM and percentages re-size according to the screen size and/or user’s preferred font size, and work on a large range of devices. 10. Use semantic markup like STRONG instead of using the CSS font-weight property. SOLUTION: Use the STRONG element instead of the SPAN element for bold text. FAIL: People who are dyslexic have a difficult time reading italicized characters. SOLUTION: Use the STRONG element for emphasis instead . 12. Identify row and column headers in data tables using TH elements. Data tables allow screen reader users to understand column and row relationships. FAIL: Without TH, screen readers apply heuristics to decide whether a table is a layout table or data table. These heuristics vary greatly between screen readers, and are affected by browser being used, window size, and font size (so the outcome is very unpredictable without TH). SOLUTION: If a data table has headers marked up using TD, then change these to TH. If a data table has no headers, add TH elements describing each row and/or column. What does scope attribute do? This attribute specifies the set of data cells for which the current header cell provides header information. 13. Mark up lists and list items properly. FAIL: Avoid using images as bullets in lists in the HTML file. 14. Avoid using select menus that allow the user to choose multiple items. FAIL: Not all browsers provide intuitive keyboard navigation for multiple select menus. SOLUTION: Long select menus with more than 11 options should be coded with option groups and labels. SOLUTION: Select lists with less than 5 options should be coded as radio buttons. SOLUTION: Keep your sentence length down to an average of 15 to 20 words. Don’t start a new sentence at the end of a line, as that makes it more difficult to follow. 17. 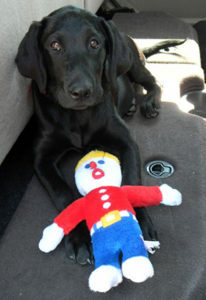 Test to be sure all your Web content is accessible using only the keyboard. FAIL: Users with visual disabilities and limited movement cannot use a mouse to navigate a Web page, as this requires hand and eye coordination. SOLUTION: Be sure your website is coded so that users can navigate all content on a page via keyboard “tabbing”.